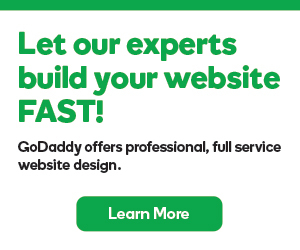 If you built a blog site using Blogger and you want to use your GoDaddy domain name with it, you'll need to connect your domain to your site. Under Forward To Any Site, type your blog's URL (e.g. http://www.coolexample.blogspot.com) in the field provided, and click Next. HUGE PROBLEM CONNECTING MY DOMAIN TO WORDPRESS!